Sharon, Jack and I caught a 1:25 pm flight from Sacramento to Burbank. 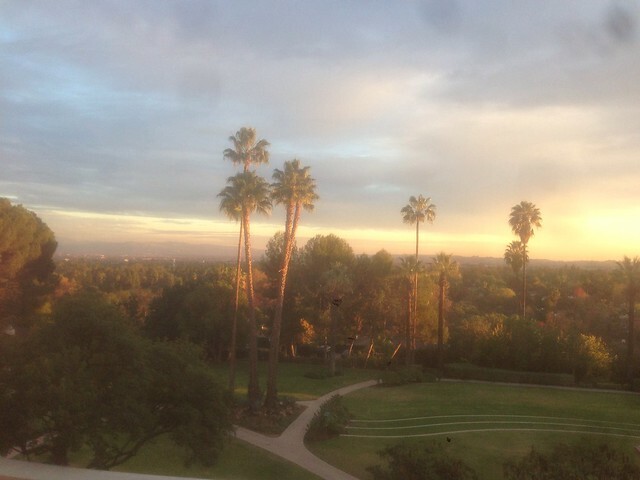 We picked up a rental car and drove to The Langham Huntington Hotel in Pasadena. We will spending the next two nights here. Jack will be playing in a baseball showcase at Occidental College on Saturday and Sunday. We got to the hotel about 3:30 pm, but the room was not ready. They gave us a voucher for The Tap Room. After about 35 minutes, they called Sharon's cell phone.